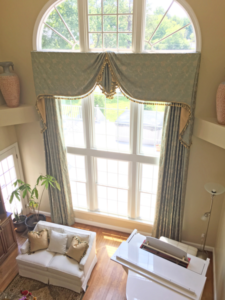 Have you ever wondered why you should invest in a custom window treatment when there are so many ready-made options to choose from? There are number of ways in which custom-made window treatments will be the best option. 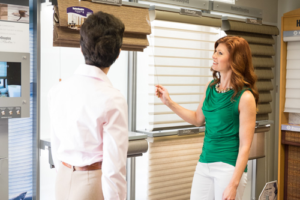 Ready-made window treatments are readily available and can be purchased and taken home immediately. They are also low cost for those on a tight budget. But, there are other things to consider. I’ll discuss the biggest differences between the two types so you can decide what will work best for you. There really isn’t such a thing as a “standard” window these days. The factories that produce ready-made window treatments make them to fit a small variety of sizes. Many people have windows that are wider or taller than those parameters. Maybe you have an arch shape window or a window 2 stories tall. You will not find ready-made products to fit those types of windows, be they top treatments or drapery. Most ready-made window treatments are unlined. Lining protects the fabric from the sun, which will cause the fabric to deteriorate over time. Often, in bedrooms, sub blocking is desired. It is very hard to find ready-made drapery with blackout lining. 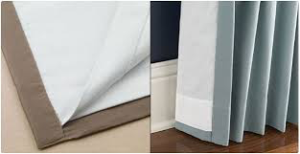 Also, most custom window treatments use interlining, which is a flannel material placed between the face fabric and the lining. This gives the treatment a much fuller, richer look and adds thermal protection. When you purchase ready-made window treatments, you will have to measure and figure out the best type of window treatment, color, fit, etc. on your own. You will need to know which styles will look best and fit best proportionally. You will also have to know what hardware to purchase for the window treatment and finally, hang the treatment yourself. If you are skilled at this, you may find ready-made products work well for you. 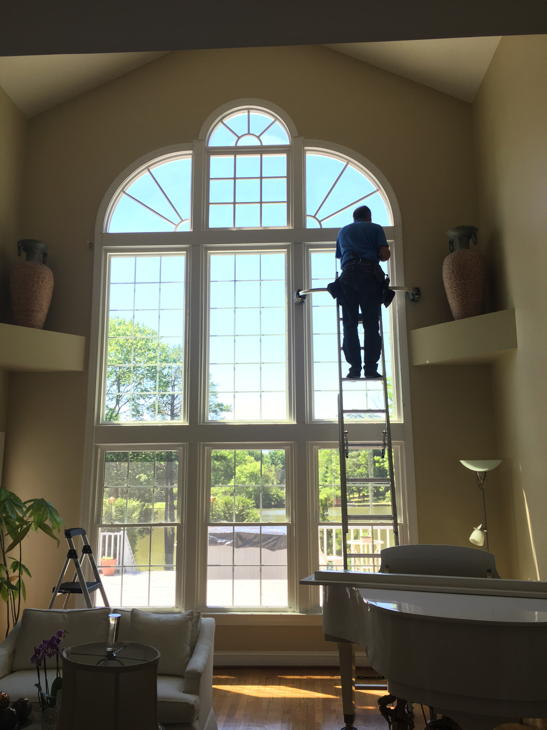 However, when purchasing custom window treatments, you will work with a professional that will measure and design window treatments that are the best fit for you and your home. When shopping for ready-made window treatments, you will find a limited variety of designs and colors to choose from. You may spend a lot of time searching for the style and colors/patterns and may never find it. When choosing custom window treatments, the sky is the limit! 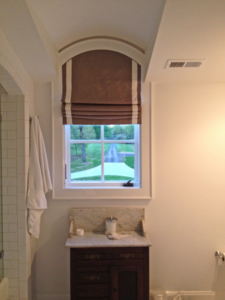 Each component of the window treatment is designed specifically for you and your taste. Choose the color palette, pattern on the fabric, fiber content, style, size….and the list goes on and on. The quality of ready-made window treatments will never match that of a custom-made window treatment. Ready-mades utilize second and third run fabrics, which often have flaws and patterns printed crooked onto the fabric. 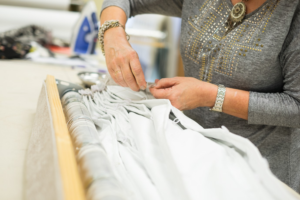 The way the treatments are sewn is done in a factory where speed is priority and quality takes second place. 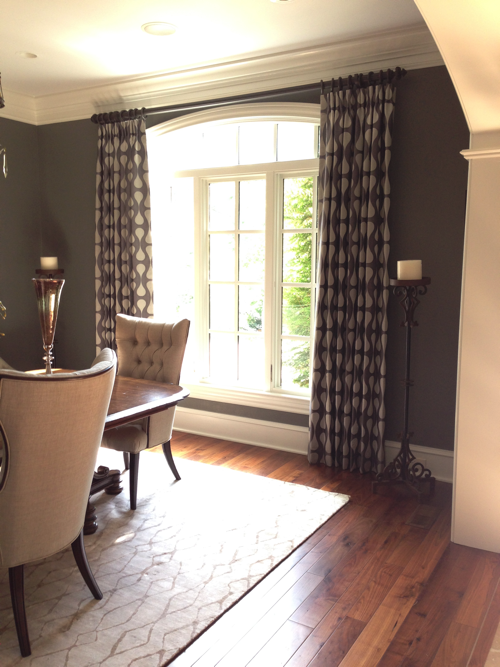 A custom window treatment is made to order and done so with high standards of quality. The custom treatment will hang beautifully. 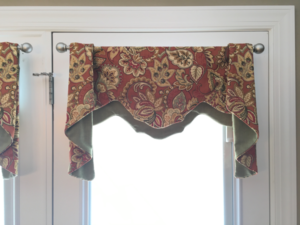 You will find often that ready-made treatments will not hang straight and the pattern on the fabric is crooked. Ready-made treatments often lack the fullness of the custom product and look skimpy.